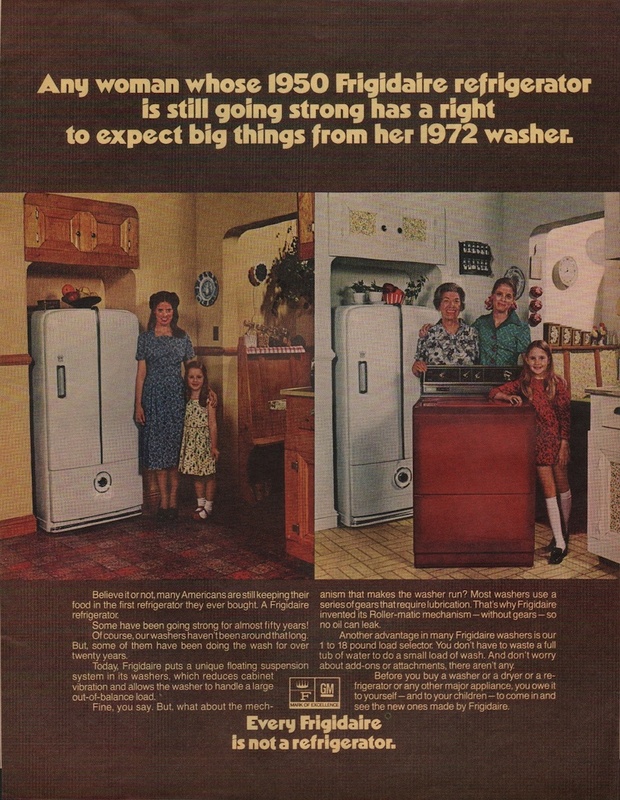 Advertisement for 1972 Frigidaire appliances. Shown here is a White 1950 Frigidaire refrigerator and a Brown 1972 Frigidaire stove. Brochures are presented for research use only. Company marks, emblems, and designs are trademarks and/or service marks of Appliance.